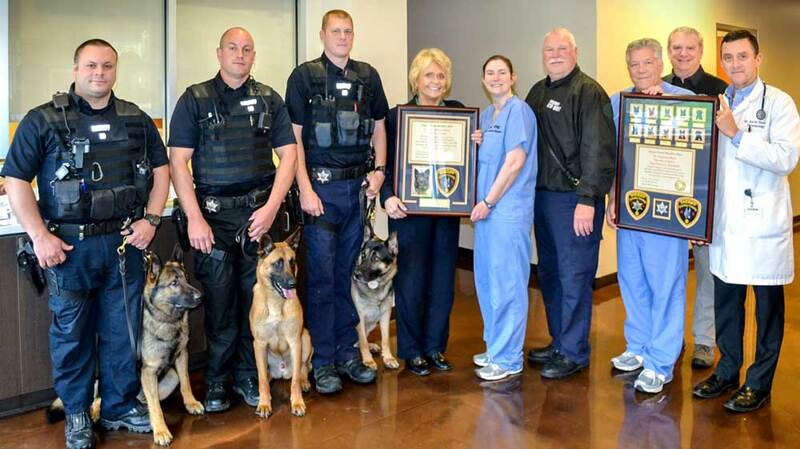 Members of the Chester County Sheriff’s Office present plaques to doctors at Hope Veterinary Specialists in Malvern. WEST CHESTER — A group of doctors at Hope Veterinary Specialists in Malvern received an unexpected tribute from the Chester County Sheriff’s Office on Wednesday, April 26 – a gesture with unlikely ties to a 2014 firebombing. The Sheriff’s Office owed a debt of gratitude to the doctors, which developed in the aftermath of a 2014 arson investigation in Norristown. Among the first-responders was John “J.D.’”DiBuonaventuro, who was deputized in 2012 with Leo as a K-9 arson investigation team for the Chester County Sheriff’s Office. 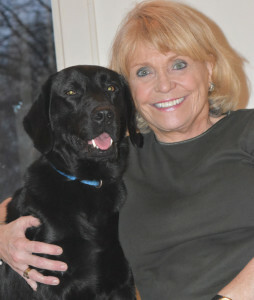 DiBuonaventuro explained that the relationship between Hope Veterinary Specialists and the Chester County Sheriff’s Office began when Leo developed a persistent, puzzling infection after responding to the arson call. DiBuonaventuro’s regular vet eventually referred the pair to the Hope specialists. 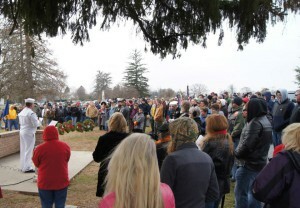 Both Welsh and McKinney praised the doctors’ skills and compassion. As the doctors accepted the plaques, they insisted they were getting the better reward. 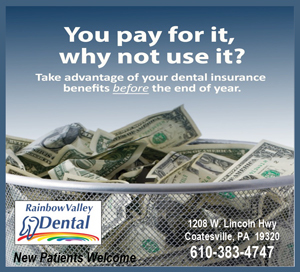 “Don’t thank us; this is our pleasure,” said Dr. Dennis Burkett.